Bible Answers: What is the Human Soul? Is the Soul the Same as the Spirit? A person’s moral or emotional nature or sense of identity. This definition of the soul is a result of the confusion behind the word’s popular usage. It is literally a muddled attempt to define something that they know nothing about. Let me start by saying that I agree with parts of the definition but certainly not the entire wording or the connection of the stated phrases. The soul is definitely an immaterial part of a human; however it is not the spirit of a human as it is commonly assumed. Both people and animals have souls but animals do not have spirits as we will observe from the Bible shortly. The soul of the human is not the immortal spirit of the human and we will see scriptures that will confirm that also. The soul of a man or a woman is related to their identity from a non-physical aspect or perspective. We could call the human soul their personality and that becomes a much closer definition to what God reveals of the soul in His Word. This dictionary definition also leaves out many other parts of the soul that are not mentioned, unknown or just ignored. We will soon see some of these as I continue to go through the Bible lesson. WILL YOU DO A MESSAGE ON THE MEANING OF SOULS? WHAT HAPPENS TO THEM AFTER DEATH? AND CAN A SOUL BE EATEN UP AND DESTROYED WHILE ALIVE? What does God say in this verse? Does God say your soul is already saved? If you can read you will find that is not what is stated. God tells the church to receive the engrafted word which is ABLE to save your soul. That is a future tense conditional promise. If you receive the Word meekly the Word is able to make your soul whole again. Once you begin to learn what a soul is verses like this will make so much more sense. Knowing the basics of truths just opens the door for knowing the more complex truths of God’s Word. I hope you can see my point from this verse. God states your soul is not saved yet, but it can be if you continue in the Word. Notice this verse begins with the title of God and this is the Hebrew word H430 that is used in over 2000 verses in the Old Testament as His divine name. From the frequency of usage you can tell that it is a very common Hebrew name for God but what you need to know about this name is that it is also a plural name for God. Hebrew words can either be singular or plural and this name is definitely a plural form of the Hebrew word H433. Next, notice what the plural God says “Let US”. God speaks of Himself in another plural pronoun form through the word “US”. These are just two clues to the trinity of God. But I said I wasn’t going to fully teach that part of the subject, but I just did an introduction to challenge you to think. God then says “let us make man”. So God is speaking of man as being a new part of creation that did not previously exist. The next part of the verse is the main part that I wanted you to see. The Hebrew term in this verse translated as the English word image means “a figure of”. A figure of something else would be like a created statue or a sculpture that represents something else which is greater. For example, the artist Michelangelo created a sculpture of David and while the sculpture was great it was not as great as the original David. I personally believe that what God was saying is that the original man was a precise representation of the greater God. I believe the angels in heaven could look at the created man and see a lesser view of the Supreme God. This clearly states that Adam was not God but yet had the image of his Creator upon him. Now take the Hebrew word translated as “likeness” and know that this word means Adam was a similar instance, example, illustration, pattern, design or a model of the Supreme God who created him. In other words what God was, the man must also be in a lesser form. You see man is definitely not omnipotent, omniscient, or omnipresent as God clearly is, however what was present in Adam had to resemble the pattern of God or he was definitely not made in His image or His likeness. I believe that God was a triune being and that this means man would also have to be a triune being. I believe that whatever qualities that God possessed the man must also have a lesser version of that feature. Therefore we need to understand who and what this Creator God is, what qualities He has revealed to us, in order to know who and what the created man is and what he centrally consists of. We know from reading scriptures that God is a Spirit first and foremost. At least 31 times in the Bible God is referred to as the “Spirit of the Lord”. At least 22 times in the Bible God is called “Spirit of God”. At least 7 times in the KJV Bible God is called “Holy Spirit”. At least 89 times in the KJV Bible God is called “Holy Ghost” and that is just a common mistranslated way to say “Holy Spirit”. God is conclusively revealed to be a Spirit by the overwhelming evidence of scripture. Therefore man must also be a spirit being or man was not made in the similar image or likeness of God. This is where most people begin to struggle to understand the basic human composition. 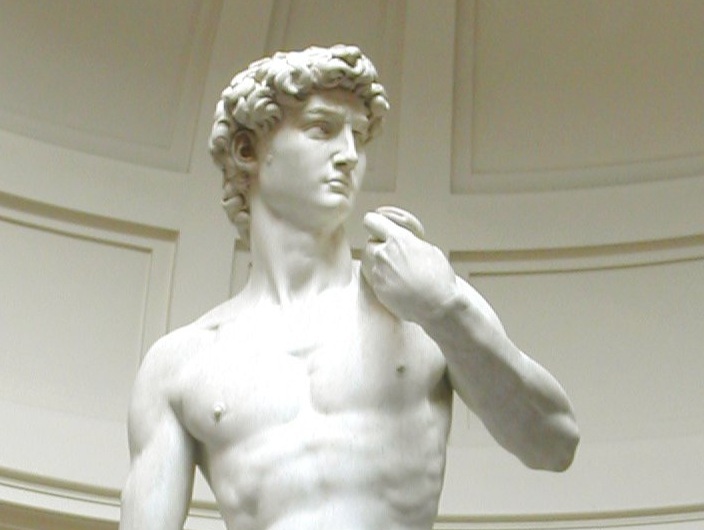 You see I previously stated that Michelangelo created an image of David and we all know that the created image was stone and the other was flesh. So clearly a created image does not have to be made from the exact same materials to be a good representation. That is true, but we just need to learn some more facts instead of isolating one truth in the Bible thinking that is everything that we need to know. It is also clear from simple observation that humans are outwardly flesh based carbon creatures because this is what we can see and touch. However, God also called man a likeness of God and that additional word changed man to be a pattern of God. Since we cannot verify the existence of the human spirit with our senses there is no evidence from a natural perspective in this world to support its existence. But, we should also know from reading the Bible that God is not a man (Num 23:19). Therefore, God is not a flesh based carbon unit. How then can man be made in the likeness and the image of God if God is a Spirit and man is only a created human body? Those are excellent question to consider and to find the answers in the Bible. Here is another interesting point about God. God is described to be invisible in Colossians 1:15, 1 Timothy 1:17, and Hebrews 11:27. If God a Spirit is invisible are there any components of the human man which are also hidden and invisible? I believe that there is and we will find out why very soon. People in the world seek to know the external temporary body and neglect to seek to find the truth about the more real eternal internal invisible spirit. The majority of the unsaved world believes a human is only a physical body, a soul and nothing else. In thinking in these terms they believe man does not differ from all of the created animals of our planet in any way. In fact they have been deceived to believe that man simply evolved from these lower forms of animal species and that is not supported scientifically, by DNA evidence, any missing fossil linkage, the Bible or any other evidence but people still believe a fool’s theory. There is no evidence supporting this deception of evolution. Creative fiction taught with authority causes the majority of the acceptance of lies. This Bible verse clearly identifies all of the key parts of the basic created human composition. The three main components are listed in their proper order of sequenced priority. This order is from the greatest or most important human feature descending to the least important part of every human. Not very many Christians put humans into this order but that is what God says, learn it. This verse declares every human is to be first, a spirit that second has a soul and third lives in a physical body. Spirit, soul and body represent three different realms of human existence that require our attention and God’s attention according to this statement. Consider the declaration being made by God closely. God says He desires that your whole being be made holy and then He lists three separate areas for this act to take place. Did you see what God just said? God just told you that you were designed to be a triune being and that you definitely have a spirit using the exact same Greek word that was proclaimed as God’s Holy Spirit in many other verses. The fact that God chooses to use the same word for spirit to describe Himself and man makes man the likeness of God. Do you understand that point? Right here in this single verse we have just confirmed the existence of two unseen features for the created man being made in the image and likeness of God. Using this foundational information we understand that the human spirit is not the human soul, the human soul is not the human body, the human spirit is not the physical body and all of these in the vice versa. To emphasize this point again I’ll restate it using basic math terms. The human spirit is not equal to the human soul, the human spirit is not equal to the human body, and the human soul is not equal to the human body. These are very simple truths and this is very profound information for us all to learn. 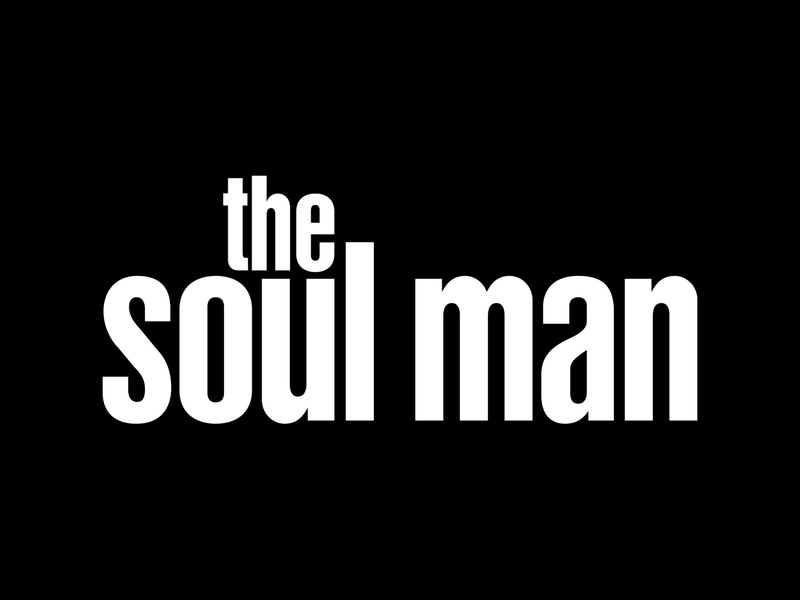 Each component is a separate and distinct part of the whole man and that is why I never use the terms soul and spirit interchangeably. This triune pattern revealed as a whole man is the repeated design from the trinity nature of God. Like I said before I’m not going to teach the subject of the trinity of God in this lesson; I have other lessons on that subject. Therefore, if you still do not understand that God declares Himself as One God in the form of three unique titled personalities then you are in need of knowing the truth. Perhaps this will be a good time to introduce confirmation for the location of the human soul. I just stated that the soul and spirit are the unseen parts of humans and we will need to find Bible verses to help establish this or we should change to believe what the Bible does say. Even though we do not yet fully know what the soul is, we can still learn where it is located to help us understand the subject. I’ll give you a verse that helps to point us to the location of the human soul. Begin by understanding the Hebrew word (H5315) translated as “soul” is the same word that we previously defined to be at the least 16 different English words. We should be able to then look at the next most important Hebrew word and find H7130 which is translated as “within” means the center of something. In other words the center of an apple is the core. The center of something means something else surrounds it. In my apple example, the skin of the apple surrounds or covers the internal parts. That is the concept being communicated by the Spirit of God in this verse in Psalms. Therefore the soul of man is an internal component and not an external quantity. This again points us to the center heart. Do you understand that? Perhaps you do and perhaps you don’t. Using the list of 1 Thessalonians 5:23 human components we can see that the human soul was mentioned second. I also said that this list was given to us in the order of importance. Either way the soul being in the middle of the other two words means it is surrounded by something else. However that is not exactly the best description of the three components of man. In this single verse is found all of the three stated created triune components of man revealed for us in 1 Thessalonians 5:23. Every part of the specified composition of a man is mentioned here in this verse but they are easily confused or missed. By contrast, in this verse God shifts the order of the mentioned priority to reveal more essential information concerning creation. Understand that God’s order of mention always teaches something, reveals something, or states the sequence of importance, precedence, priority or authority. You see in many secular schools there has always been the classic debate held about which came first the chicken or the egg? The debate begins with a conclusion that a chicken always comes from an egg therefore the egg must have existed before the chicken. However, the opposing side of the debates begins with this counter argument and states where did the egg come from? Since the egg comes from a chicken the chicken must have existed first in order to produce the egg. Thus we have a classic circular reasoning debate without end and without any clear winner. However, God reveals by His phrasing exactly which came first here in His Word and ends the debate. I guess people want to debate because they do not desire to believe in the Bible or the existence of a great creator God and thus they produce man made logic to explain away the truth. This verse in Genesis starts with the revealed fact that God first created the complete mature body of the man from the dust of the earth. What was the first created part of the man? By definition it is the body. Without a physical body there are no humans, man or woman. When the body of a human baby is formed from the union of the female egg and the male sperm cells that action produces the body for the human spirit and before this occurs there is no human spirit and if you can read you will see that is what this verse in Genesis is teaching. After the man’s formed body was produced by the work of God’s hand, what happened next? The Bible says God “breathed” into his nostrils (body). Let’s stop there and interpret this verse based upon what we have previously learned about God. In John 4:24 we learned that God is an invisible Spirit and therefore God does not breathe air like a natural human being takes in the oxygen based atmosphere into the lungs and then exhales the carbon dioxide mixture back out. In fact, have you ever read any verse that says air exists in heaven? I personally believe air is a created substance and therefore the creator existed before air. Therefore God did not need air to exist. Surely you can see that spirits do not need air to be a spirit or to have life. If God does not breathe air what then is God saying to us here to us in Genesis 2:7 that he breathed into Adam? Here Jesus says to pray “Our Father”. This does not say “My Father”. The term “Our” is a statement of inclusion not leaving the disciples out. If God was their Father as well as the Father of the Lord Jesus then this is important information to remember. This verse in Genesis 2:7 that I have been using to teach specifically says that God blows something out from His Spirit that enters into the body through the nasal air passage of the man to cause life to be first observed. The nasal air passage is just one human gate to the body of man. Gates can be two ways or one way. In the case of the nose and mouth these are two way gates that allow air in and out. Please allow me tell you briefly about a testimony of a man that I knew. This man died as a teenager and went to hell. This man was about to enter into hell when a voice spoke from heaven and he ascended back to the earth. When his spirit came back into the room where his body had died, he remembers his spirit entering back into his body through his mouth. It seems that there is a direct connection between the air passages and the internal invisible spirit of the human that resides in the body. I haven’t proved that yet, but maybe I will get to that part later. If not and you want to know where this is in the Bible you can ask a question. Here is a basic simple question, was the body of the man Adam living or alive before God breathed? If you are smart you must agree that Adam’s body had no life before God breathed. If it was not alive then it was technically dead. Isn’t dead the antithesis to being alive? I am simply using the term dead to mean there was no life present until God breathed. Here is another very interesting point to observe from the creation account in Genesis; ask yourself, why didn’t God breathe into any of the nostrils of any of the other created animals to cause them to become alive? Have you ever thought about that? Actually I should ask did you notice that God did not breathe into the animals. What this proves is a basic fact that man was not created as an animal and did not originate from the animal class of species. It conclusively proves that man’s life came directly from God’s Spirit and that makes man a very unique and a very special created being. This verse clearly says that when the human body dies, the spirit of that man departs, exits, or leaves the body. To be more precise this verse says if there is no human spirit, then there is no human life! This verse is the stated antithesis of what occurred in Genesis 2:7 and it teaches us what happened to the man in that verse to cause life to enter his body. The man’s spirit had to have come from the Spirit of God in order for the man’s body to become a living being. Are you getting the connection? Where did the spirit of man come from? The spirit of man could only come from the Spirit of God and this is not that complicated and it must be this way for every human. Spirits come from the Father of Spirits and this is told to us by the verse in Hebrews 12:9. Go read it and see what it says. I’m spending a lot of time on the spirit of man component because this is the most important part of every human being. The spirit of man is the eternal part that never dies, never ceases to exist and will be judged someday standing before the throne of God. The human spirit is the part of the man that was made in the direct image and likeness of the Creator. Earlier I told you that the human soul is not saved yet and that God has given us His Word to save our souls. Therefore, the human spirit is the only component of God’s salvation that was reconciled back into relationship with God’s plan of salvation. You see at the point of salvation your physical body does not change one bit. You have the exact same body before receiving salvation as you do after salvation. Remember the order of priority given to us by God? God thinks about you internally to externally in that precise order. When God offered you salvation He did it through a preacher proclaiming the Gospel of Jesus Christ. This Gospel message should have included the message of the identity of Jesus as being God in the flesh and His voluntary sacrifice to die for our sins. But it did not end there, Jesus was then raised from the dead and that act was the key difference between every other human death and when we believe on all of this that Jesus accomplished that saved our spirit and God’s Spirit enters into our body to witness that we are now again His children. To be joined with the Lord is a marriage covenant phrase first given to us by God in Genesis 2:24. After receiving the Lord Jesus as savior the Spirit of God becomes one spirit with your spirit and you are conclusively saved by His Grace through your faith (Eph 2:8). Therefore, God’s Spirit joined with your spirit is the result of salvation. The rest of you still needs to be saved and I’ll show you why next when I begin to describe the human soul. Pro 14:10 The heart knoweth his own bitterness; and a stranger doth not intermeddle with his joy. This verse is easily missed because of the translation error. The term “own” here is the Hebrew word H5315 that should have been made “soul”. This is one of those poor examples of Bible translations that I referred to earlier. Change the word to soul and reread it. The heart (spirit) knows his soul’s bitterness”. What is bitterness? If you look at the entire verse you will hopefully see bitterness is being defined as the antithesis of joy. What is joy? Joy is a human emotional state. It represents a very happy moment in life. Therefore, bitterness could be the opposite the sad, discouraged, disappointed times of life. What we are observing is the inclusion of the human emotions into the soul realm. So far we have found the mind and the emotions to be two parts of the soul. Pro 15:32 He that refuseth instruction despiseth his own soul: but he that heareth reproof getteth understanding. Here is another interesting verse about your soul. What is the main subject of this verse? If you did not know God is focused on the human soul in this verse. We can see from the last word in the verse that God is talking about us getting understanding? How do you understand anything? Isn’t that with your mind again? People get knowledge and then they can grow to understand what they know with their minds and that is an intricate part of the human soul. However, God introduces us to a new aspect of the human soul called choice. The right of human choice that we all possess is called our human freewill. If we refuse to take instructions we have made a negative choice and God says we despise our souls. This is an act of a vile person, an ignorant person and it is not a positive description to be associated. What we have learned from this verse is that the human soul is comprised of their will or right to choose. We could go through many more confirming verses but that was a quick introduction to the three main human soul sub-components. 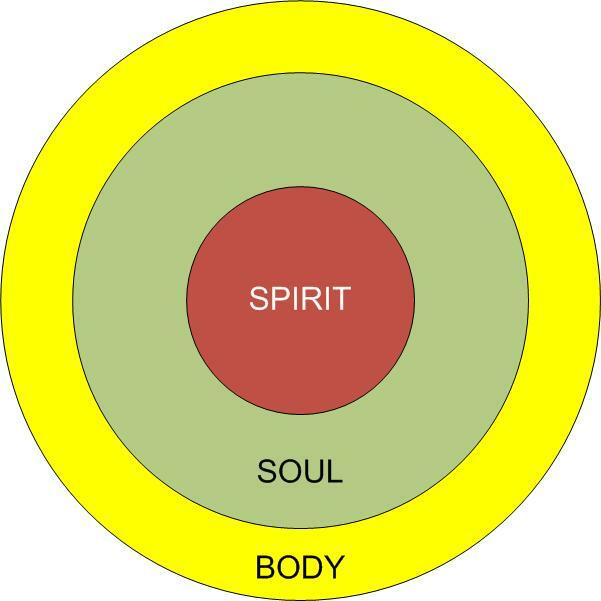 The human soul is one sub-realm in the triune whole design of man (spirit, soul & body). We previously looked at God as being the source for man’s spirit, but where did man get his soul? The soul of man is comprised of three main specific entities called 1) the mind, 2) the will and 3) the emotions. These soul items were created patterns, models and qualities that God possessed but they were not God’s personal mind, God’s personal will, or God’ personal emotions present in man. In other words man was an independent spirit possessing an independent soul, an independent mind, an independent will and an independent set of emotions all being separated from God’s soul. Did you know that God had a soul? Ask yourself does God have a mind? If yes, then ask does God have a will? If yes, then ask yourself has God ever displayed any emotions? If yes, then God has a soul and man’s soul was modeled after God’s. However, the created man did not come preloaded with all of the knowledge of God, the understanding or the wisdom of God after creation. The created man was not fully packed with all of the memories of God. The created man was not told anything specifically about the will of God except “do not eat from the tree of the knowledge of good and evil or you will surely die”. This was one of the only details of knowledge revealing the will of God that the man possessed. Therefore the man was not pre-conditioned or pre-programmed to do the will of God. How would the man even know what death was? There is no way that he had ever seen death or experienced death because God created everything very good. Adam did not find out what death was until after he sinned and his son Cain killed his other son Abel and that was the first recorded natural death that occurred in the Bible. What I am attempting to teach is that the created man did not auto-magically possess the full knowledge of God, the thoughts of God, the ways of God or the emotions of God. He could learn these from walking with and listening to God but they were certainly not automatically transferred to his soul when he was given God’s spirit life. I view the human soul to be an empty large container in need of filling. A human learning something is their empty mind being filled with knowledge. Consider a new born natural child. Does this new born baby possess all of the knowledge of their parents directly from birth? Can they speak intelligently about the facts of life or the experiences of their parents? Obviously a child is an empty container in need of an education and individual and personal experiences of their own in order to grow up and mature. Why would you think that Adam and Eve were different than any new born babies in need of the same? Let me let you in on another Bible pattern. The Bible teaches us that Adam was made in the image and likeness of God in Genesis 1:24 but these two same exact words were used to describe Adam’s new born son named “Seth” in Genesis 5:3. What I am attempting to say is if one pattern is not identical to the other pattern then God just must be confused to use the same words. No what God is teaching us is that the same image and likeness that Adam was created with was also transferred down the life chain to every human descendent that came from Adam. Let’s move on and talk more about the soul. Consider the human mind to continue our soul analysis. The human mind is comprised of both mental reasoning facilities for thought processing and knowledge retention capabilities also called our memory. Memory is used for human learning and for experience and information storage, which demands there is also recall capabilities later for these memories to be reused for other decision making or expression. Perhaps I need to stop and verify the existence of God’s soul using scriptures. Start by looking at Jeremiah 5:9 and Jeremiah 9:9 to see the Lord speaking directly of His personal soul. This is the same Hebrew word used for man’s soul an animal’s soul, etc. I think verses like these confirm that God is in possession of a soul. Let’s consider what God says about the “mind of Christ” in 1 Corinthians 2:16 and we will certainly verify from this verse that the Lord God also has a mind. Now consider the prayer that Jesus taught to his disciples to pray in Matthew 6:10. Jesus said to pray “Thy kingdom come, thy will be done on earth as it is done in heaven”. Therefore, God definitely has a will. We really haven’t fully defined what a will is, but this is the inward desire part of the spirit being. I also said that the will was the part of a being that possessed “the right of choice”. The inner desires usually help to determine the choices that a person makes. Therefore, the will is another factor for decisions. We are just going through a few of the key components of the soul to verify their existence in God. Now consider the mind’s thought process for thinking and read Isaiah 55:8 and you will see a direct connection being made by God where He says “My thoughts are not your thoughts”. God basically declares we both have minds that think but you are not thinking like I think. If you continue to read in Isaiah God says “Your ways are not my ways”. This again states the will of God to be separate from the will of man. God was clearly saying the choices that you make are not the same as the choices that I would have made. 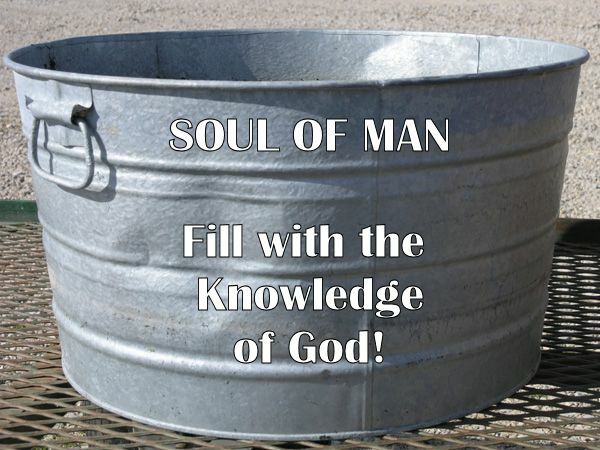 Are you learning anything about the related and connected parts of man’s soul to be like God’s soul? Let’s move on to the emotional part of the soul of God. Does God have emotions? What are emotions? Sadness, anger, joy, disgust, fear and surprise are all common emotional qualities found in normal humans and I did not attempt to give the complete list. Does God ever display any of these qualities? Read Exodus 4:14 to begin and you should quickly see that “the anger of the Lord was kindled against Moses”. It appears that God does possess emotions. Nehemiah 8:10 states the “joy of the Lord is our strength”. Clearly God displays joy and anger to name two emotions. I could give you other verses but that is enough to confirm that God has a soul and that man’s soul was modeled after it. We can read in Genesis 2 that the created man definitely had extreme thought and reasoning capabilities and he must have possessed incredible memory abilities in order to name all of God’s created animals. Modern scientists still do not know exactly how many species exist on the planet but it is estimated to be between 9,000 and 10,000 different types. Let’s see how long it takes you to come up with original names for each one of these groups and then remember them all. Where did Adam get these names? Notice in this chapter that God brings the animals to Adam and says “whatever the man calls it that is what it will be called” (Gen 2:19). This statement implies that it was an independent man only naming operation that transpired. God would direct the animals across Adam’s path and Adam would use his independent reasoning abilities to name them all. This teaches me that Adam used his own personal mind, thoughts and reasoning abilities to name all of the animals and God did not contribute His abilities or thoughts into Adam’s mental thought process. There is no stated time for how long this took Adam but the fact that it happened is good enough for me. I want you to see that it is clear that Adam must have had a desire to name the animals or he would not have done it. This displays the unique quality of drive, initiative, curiosity and desire; in other words Adam’s human will was a contributing factor in this Animal naming process. Therefore the second part of the triune soul called the human will was a confirmed factor that Adam had to possess. The fact that Adam did something without being told to do it demonstrates not only intelligence but also his freewill choice and the right to make a decision. Consider all of the mentioned components of the soul of man; each component of the human soul has some significance in the story of Adam in Genesis 2. God says in Genesis 2:6 that he formed the body of the man from the dust of the ground and then breathed a spirit into his body and Adam became a living soul. This confirms that the soul of man exists only after the spirit is introduced. This makes man the unique part of God’s creation. You can see that every animal has a soul but without any spirit. The fact that Adam shows interest in God’s creatures demonstrates a unique human quality that is unlike any creature that was displayed before Adam. No other animal looked at Adam to attempt to name him. What God was teaching Adam by parading His creation before Adam was the fact that there was no one else like him on the planet. God showed him the whole of his work in this world and nothing that God created on the planet was Adam’s equal. That is why God created the woman because God says it was not good for the man to be alone. That statement by God proves Adam was an independent being separate from God. Adam has demonstrated the three qualities of the human soul in this chapter. This was just a quick introduction to the topic of where did Adam get his soul. I tried to show you that Adam’s soul came as a designed pattern for God’s soul but it came void of God’s divine soul fullness. I hope you understand these quick points, I just don’t have the time to explain them in greater detail right now. We are going to continue with the mind part of the soul. In this verse God declares His word to be a sword of division capable of dividing the human soul from the human spirit. Spirit, soul and body are all technically mentioned in some form in this verse. Joints and marrow are body sub-components just as thoughts and intents are soul sub-components. The spirit is directly mentioned in this verse to be separate from the soul. But why then does God mention the heart at the end of the verse and not the spirit? What is the difference between heart and spirit? Here is where we get into more potentially complex discussions. The Body as you recall is the outer layer component to the inner concentric circles of man. The body layer is followed by the middle circle layer of the soul ending with the center circle layer of the spirit. So the heart of a man is that which lies underneath the outer layer. I believe the heart of a man normally refers to both his spirit and his soul together and I will try to explain this as I go. Many people confuse the spirit and the soul to be like Siamese twins joined together at the “S”. This verse appears to imply this relationship but it also clearly says that they can be separated, detached, parted, or divided revealing them to be unique separate human qualities. Consider what is not directly stated here. If the word of God says the soul can be separated from the spirit, this would tend to show that they are normally always linked together. In other words where the spirit goes, the soul will surely follow. I then want you to consider why it takes the Word of God to separate the soul from the spirit? Is there anything more powerful than the Word of God? I do not know of anything that exists that is more powerful than the Word of God. God spoke the world into existence and that is enough proof for me but I’ll give you Hebrews 1:3 for you to research. You may not understand that the soul and spirit are normally linked but this is actually a very true statement and I will show you verses that confirm this belief shortly. Read this story told by Jesus very carefully and give it vigilant consideration. This information is a real literal historical story known by Jesus and not a parable as many fools claim it to be. If it was a parable Jesus is going to state two obvious lies and one of them is found here in this 20th verse. Jesus called the beggar directly by the name of Lazarus. If this was not a real man named Lazarus then the story has become a work of fiction, a make believe account, and a fabrication of unimportant information. If Lazarus does not literally exist Jesus would not have given us his name to make himself a liar. What I am doing is countering a false teaching that attempts to explain away this real life story to make it a parable. These soul sleep teachers have to do this in order to support the rest of their false doctrines. You see the popular approach to discrediting any conflicting verses in the Bible that disagree with your belief is to explain them away using human reasoning. This is a very common technique for deception. They will take the truth and change it into a lie to help support the other lies that they claim are also the truth. Ok, let’s continue with the information from Jesus. Use basic logic observing what is literally stated for us to learn from. We can understand easily that everyone mentioned here is dead, right? Abraham is dead from reading Genesis 25:8. Lazarus we just read has died and is with Abraham. Finally the rich man in hell was also a dead man from the same story that Jesus was using as an example warning. These are three dead individuals that have all departed leaving their bodies on the earth. Notice that Jesus mentions Abraham another real man and this is the second lie that Jesus told if this story is not a literal account that actually happened to Abraham. We cannot hear a story of a real named man and conclude it to be anything but a lie if it did not actually happen. No this is all an actual account given by Jesus stating the literal truth. Then notice everyone that is mentioned can see, think, feel and talk. We can easily understand from what is stated the rich man in hell literally feels the torment of the flames. He sees Abraham and Lazarus a far distance away from the flames and asks for a drop of water to cool his tongue. The key word that I want you to focus on is found in verse 25. Abraham looks at the rich man and tells him to “remember”. A memory is nothing but the recollection of real past events that were personally experienced. I can’t remember what you did yesterday because I don’t know what you did. We all have memories either good or bad and these are an intimate part of our mind and our soul. Therefore, the soul of man is definitely present with the spirits of all of the men after death. The rich man was still able to remember, to think, to reason, and to see and speak. Without the soul and the mind none of this would have been possible. There are many other things to learn from this story but that was the key points that I needed you to see in order to understand the existence and location of the soul after death. Let’s look into another Bible story that is applicable to learn about the soul of man. Let’s shift our focus to a prophetical verse about the future. Here in this verse God declares that He will wipe away every tear. Who is this that God is wiping away their tears? Probably a better question would be “Why do they have tears to wipe away”? If you read the preceding context you will discover that God is wiping the tears from people. Not just any people, because these are the people of God that God lives in eternity with. That means two things that are very relevant to answer the soul questions. First the presence of the soul is confirmed in the future tense because the tears that are flowing represent the presence of their emotions. Tears normally flow as a result of hurt, pain, sorrow, sadness or other related emotional conditions. There is also the term “tears of joy” and that might also apply to what is being stated here. Remember that I told you the soul was comprised of the mind the will and the emotions. Every one of these subjects is implied to exist in the eternal man. Why do people cry at funerals? They cry simply because they can, but not only that they cry because they love and remember their friend, spouse, child, parent or other relative that has departed. Therefore, memories play an important role in why tears are present. Emotions play a role in the existence of tears. Finally the human will plays a role in shedding tears because I have seen many choke them back to keep them from flowing. What this does is to help confirm that the soul of man will never cease to exist. I have just given you three great examples of man after death on the earth that still possess their souls with their memories, thoughts, wills and emotions all being implied present with their spirits. The soul of man is an eternal part of the human composition and it will never cease to exist. That brings us to the last part of the question; what about the soul here in this life? You see there is another popular lie from Satan that is taught even in modern medical universities that when a human brain flat lines with no activity that the body is clinically dead and the plug should be pulled. Is that what Jesus said? Is that what the Bible teaches? How does that belief line up with the truth found in God’s Word? Didn’t the spirit of man still possess the mind even after his spirit left his body? What I am saying is that your mind and your memory have nothing to do with your physical brain cells. None of the dead men in Luke 16 had any physical brain cells and every one of them could still see, speak, think and remember like they were in their bodies and probably better. I didn’t give you the full story in this lesson but you can go back and read it to see that the rich man in hell remembered his brothers that were left behind on the earth and he desired (used his will) that they be warned not to come to the same place of torment with him. If this man remembered his life here on the earth, then every man after death can still remember his life in the past. Here is another ending point for the rich man, not only did he remember his brothers on the earth he knew who Abraham was and Abraham had died long before he did. You are going to know a lot of people after you die that you have never seen before. This is just very basic knowledge based upon the Bible. I pray that you will see it. WHY DOES MENTAL ILLNESS EXIST? Jesus looking at some people knew their internal unseen thoughts and asked them a question that was very revealing to what we are studying. Jesus clearly is speaking of the soul thought realm and he leads us to these thoughts being attached to their spirits and never mentions their physical brain activity. Do you think the creator God knew what He was talking about here? There is no reference to the body anywhere in the context. Little clues like this are hidden in the Bible in some of the most unlikely settings. Truth is concealed so well in the Bible that it is easily overlooked by the casual reader. Everyone is focusing on what Jesus is doing while ignoring what He just said. Luk 8:26 And they arrived at the country of the Gadarenes, which is over against Galilee. Let us perceive what is happening in this Bible account of the Lord Jesus. They are passing through a part of the country to a town called Gadara. They encounter a man that is far from normal. Physically speaking he has issues, but mentally speaking he is off the charts and can be labeled crazy or a mad man. He wore no clothes and lived in tombs. These are clear signs of a deep mental illness but they are attributed to the presence of devils. What we are going to discover by study of the Bible is that demons, devils, or unclean spirits cause the majority of the mental issues found in the people that Jesus encountered. You can see from this statement that the man is unaware of the presence of the devils. He does not ask to be delivered from them and is directed by the demons to ask Jesus not to torment them. The reference is to the man, but the thought for the spoken words surely originates from the demons. Clearly this man is possessed of devils. These devils can manifest vocally and take over the voice of a human speaking through his body. This is normally not an ordinary human voice and can be easily identified to those that are spiritually aware. Is any of this description normal human behavior for a child? I seriously do not think we can call any of this foaming at the mouth, seizures, gnashing of the teeth, and shriveling or shrinking away normal human behavior. If you took this description to a physiatrist without explaining where you got the information from the Bible they would probably request an immediate meeting with this person very fast. I believe it is a clear account of a mentally unstable individual. I’m not going to go through the entire story because you can do that for yourself. What you will find is that Jesus casts the devil out and the child returns again to normal human behavior. What we learn from these two simple stories is that mental issues are largely originated from evil spirits being present in the bodies of the humans. When the evil spirits depart or more specifically are cast out, normalcy returns and humans can resume their lives. What we discover is that the human actions of an individual can be controlled by or at least certainly influenced by the existence of evil spirits. That was a very quick overview of soul issues and deliverance. Deliverance is possible still today because Jesus Christ is the same yesterday, today and forever. I believe this has been an incomplete discussion of the full subject of the soul given to us by God in the Bible. However, in this lesson, I have demonstrated to you from the Bible that the soul is not the spirit and the spirit is not the soul of a human. A human being is a spirit that has a soul and lives in a body here in the natural realm. I have also shown you that man was created in the image of God and that God is a Spirit and that He has a soul and these were the patterns for man’s spirit and soul. I have given you more than adequate evidence from the Bible that states the soul of man does not cease to exist after death and the separation of the human spirit from the body. We have seen more than enough verses that teach us the soul and the spirit exist separate from the body. Finally, at the end of this lesson I showed you how the soul realm was within the realm of influence of evil spirits. I believe I gave sufficient evidences to prove that mental illness is caused by demonic possession. There are probably another thousand verses in the Bible on this subject. It would be good for you to go and see if you can find them if you truly desire to know more about this subject from the true authority. If you run across verses that you do not understand you are welcome to ask me questions and if I know anything I will share it. I hope and pray that you learned something that you did not know before on the human soul and triune composition of man. I thank you for your time to study the Bible and may God bless you with the Spirit of wisdom and revelation in the knowledge of Christ Jesus (Eph 1:16). Posted on January 22, 2013, in Answers, Bible Study and tagged Answers, Bible, Christianity, God, Jesus, Questions, Religion, Truth, understanding. Bookmark the permalink. 19 Comments. I’m super sorry I have so many questions concerning this. I have to admit the first time I read through it I didn’t read it thoroughly and I’m sorry for that. Now that I’ve gone back and reread everything in its entirety I have a couple more questions. 1. When we accept Jesus as our savior our spirit is saved for all eternity. Got that. 2. Our soul is not saved yet. Is this the renewing part of the mind? And how does our soul get saved? Can someone’s spirit be saved and their soul not saved? 3. Does Satan have access to our spirit or just our soul? Can a believer be possessed with an evil spirit? 4. We open ourselves to attack from Satan if we allow him to blind our minds correct? How as believers do we protect ourselves from our minds be blinded? If we realize it has been blinded how do we pivot and not go back to the old way of thinking? 5. Finally, deliverance ministries…It makes total sense to me of the ministries, but I’ve heard from some it brings freedom, for others they don’t notice a difference. What’s the difference and is there biblical evidence to back that up? 6. Are our souls then perfect in heaven? Again, I’m sorry for so many questions, but these are all things that swirl in my mind and no one seems to know, but I’m convinced God does! Thank you! Fantastic! This has basically confirmed what I have been thinking in my spirit, in the fact, that post partum has to be some type of spiritual battle. I keep getting told that it is a hormonal imbalance after having a child, but it just seems too intense to just be that. I keep asking why does it occur in some and not others? Again, no one know why. Could you point me in the right direction of Biblical evidence if you notice mental symptoms, what the next steps are for complete and total deliverance from the Lord and how to not open any doors for Satan to gain access? Also, can there be legitimate brain problems? How do you know if something is wrong with the “hardware” actual brain, verses the “software” the soul? Thank you for reading, commenting and asking questions. It appears obvious to me that the human mind can be controlled or at the least significantly influenced by Satan to think whatever he desires. 2 Cor 4:4 says how the god of this world (Satan) has blinded the minds of them that believe not…. Now having said that I also believe that mental illness as well as physical illness of the mind can also be attributed to Satan. The madman of Gadara who Jesus cast out many demons in Mark 5 proves mental illness can originate with demons. This man was in his right mind immediately after the demons left him. Wow. Ok so I’d have to agree with that with what you’re saying with Biblical scripture so here are my next to questions. Being a believer, what’s the solution/protection for Satan influencing your mind? Secondly, I firmly believe that physical sickness is not from God and healing comes from him and we should be praying for healing but we all eventually get sick and physically die…so I guess I don’t know the answer to that? I’ve heard sickness is from living in a fallen world but I feel like there has to be an answer and I believe God is the answer but I don’t get it all yet and how it works together…does that make sense? Very informative, good word as the Bible declares it. I have received a lot of information. Thank you. The whole day today , I was glued to your teachings. I would like to study and read more about :- body , soul and spirit. I have a strong desire to know more. I find your write up very reaveling . Can I get online studies on the topic of human body,soul and spirit ? Kindly guide me. You are a golden opportunity to me. I started searching for Biblical Truths using google, but I realized that I was not getting truths that quoted from the Bible, then I decided to search for What the Bible says. I wanted to know about the Human soul because a very good friend of mine told me about this sleep unconsciousness. I remembered one of your lessons saying that this was not Biblically truthful. as I searched I came upon this lesson and was so happy. You have done it again. You have strengthen my belief. I’ll continue to search. I am not asking for your help as yet because I always find where you have done a lesson already on what is not very clear to me, when I cannot find any of your lessons on the topic, only then would I ask for your help. You have published a lot and I know that God would keep on revealing His Truths to you so that you can keep on blessing us and in turn HE is GLORIFIED. Thank you very much for replying to my questions. The more I study your in-depth teachings,the more I am illuminated and feel how less I know about the Bible.May God continue to enrich us through your teachings. You have stated that animals do not have spirit.But Ecclesiastes 3:21 says that spirit of the beast goes down to the earth.Would you kindly clarify this verse? The Hebrew word translated as “Breath” is the same one translated as “spirit” in ECC 3:21. Here it is used to describe the Spirit of God breathing through His nostrils. Clearly God has both breath and is a Spirit and man is made in the same image and likeness. Thank you for your questions and may God bless you as we continue to learn about His Word. first of all, thank you for allowing GOD to use you as vessel. I wanted to ask, what about the first part of this scripture:”For as the body without the spirit is dead, so faith without works is dead also.” Doesn’t that imply, that an animal has a spirit as well? That is a less than logical assumption to apply a verse speaking of humans to animals. Only Adam was made in the image and likeness of God. Only Adam had the breath of life (God’s Spirit) breathed into his nostrils. An animal has a very limited form of existence compared to a human. Sure you can train an animal to do tricks or tasks but the animal has not ability to create anything beyond their God given animal instincts. Man was created on a much higher level of existence. I apologize that I am unable to provide a full answer in the limited space of a comment reply. God Bless. Very thorough discussion on the soul. Could you comment on the scripture Matt 22:37, that distinguishes the sould and mind?Thanks. Mat 22:37 Jesus said unto him, Thou shalt love the Lord thy God with all thy inward parts (heart), and with all thy life (soul), and with all thy thoughts (mind). Do you still think they are talking about different things? Isn’t that verse just talking about what real love is? Unclean spirits come out of the mouth of the dragon. Does that fit the pattern to what I have been saying? I think these are both literal and symbolic simultaneously. The words that the prophet speaks are spirit based and they can enter into the hearts of the people to deceive them. I see many verses like these in the Bible where words are spirit, spirits are words and the mouth is the main expression point for them both.